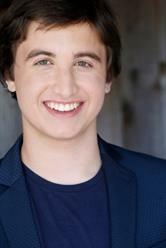 September 05, 2017 16:09 ET | Source: Hackett Miller Company, Inc.
LOS ANGELES, CA--(Marketwired - September 05, 2017) - Multi-talented 16-year-old singer/actor Oliver Richman debuts two original, powerful, heartfelt ballads, "You and I" and "Rise," both available for digital download on Amazon and iTunes. The young performer also launches a new website, www.oliverrichman.com. The new recordings were written and produced by Oliver's mother, singer/songwriter Lisa Dawn Miller (www.lisadawnmiller.com), and her music partner, Mark Matson. "The song 'You and I' is about letting go," Miller said. "It is very hard but sometimes in order to grow we have to let go," Miller continued. "'Rise' was inspired by one of my heroes, Michelle Obama. We all have a choice. 'Rise' is about my hope and optimism that we can live in a better tomorrow because of the choice each of makes today," Miller said. Richman's grandfather, legendary songwriter Ron Miller, wrote hit standards such as "For Once in My Life," "Someday at Christmas," "If I Could," and many more. In 2014, Richman released a special 50th Anniversary recording and music video of his grandfather's classic, "For Once in My Life," and a powerful rendition of Bruno Mars' "Count on Me," which he arranged and performed as a piano-only ballad. In 2016, Richman released "Believe" and "Today". The Huffington Post spotlighted Richman about continuing in his grandfather's footsteps with his release of his grandfather's classic, "Heaven Help Us All." Last Christmas, Richman released "Celebrate Me Home". At just 10 years old, Oliver was personally invited by Stevie Wonder to share the stage and sing "One Little Christmas Tree" at the Nokia Theatre. He received a standing ovation from more than 7,500 people. Written by Ron Miller, the song was originally recorded by Wonder in 1967 for his album, "Someday at Christmas" (also written by Miller). The same year, Richman was featured on Byron Allen's "Young Icons," a national TV show about young people changing the world. Richman first appeared in "Sandy Hackett's Rat Pack Show" as "Young Frank Sinatra" at age 10. At 9 years old, Richman's video of "Defying Gravity" from "Wicked" went viral. Richman is an Honors student in Los Angeles and has won multiple awards representing his school in both the DTASC Drama and Shakespeare Festival competitions. He created "Diagramming Club," to invite students to participate in the "grammar revolution." Recently, he created a rap about Alexander Hamilton's "BEFAT" economic plan and "WWI - The War to End All Wars," for his AP U.S. History class. He also released "Hamlet the Musical," for his school's drama department. For the latest on Richman, visit www.oliverrichman.com and follow him on Facebook (www.facebook.com/oliverrichman/?fref=ts), Twitter (@OliverRichman1) and YouTube (www.youtube.com/channel/UCV4MZJ9nyozdmKigSrCz9jQ).